Bring a friend or a date and learn basic metalsmithing skills in our studio. Design and create a ring for yourself or for each other. 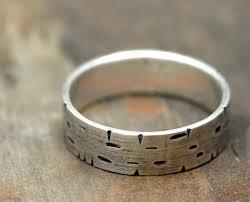 Make a textured or shiny band that can be stamped with initials or significant dates. 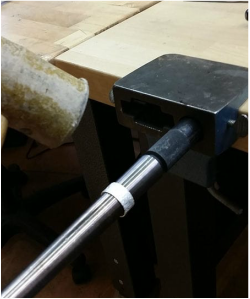 Learn how to use metalsmith tools and techniques to do sawing, texturing, stamping, filing, finishing and soldering. 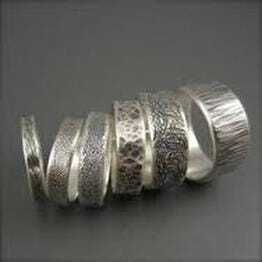 Leave the studio with your finished ring! 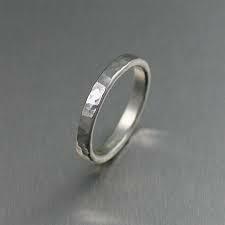 Registration includes enough sterling silver and consumables (flux, solder, saw blades and fuel) to create one band ring. Additional materials are available for purchase. None. For beginners and those with little or no prior jewelry making experience. MAXIMUM NUMBER OF STUDENTS: 8 (four couples). Students will be required to sign a waiver. Participants must be 18 or older.